ON MINDFUL LEADERSHIP, THE DIDACTICS OF ENGAGEMENT IN SCHOOLS, PREVENTION OF EMPATHY FATIGUE IN PROFESSIONALS ETC. Talks on specific topics are always adapted to your organization's focus and dilemmas. Do you need inspiration on how to stay focused and friendly both to yourself and others during a busy work life? Or do you need to take a look at new and different perspectives on everyday dilemmas, strengthen the quality of collaborative relations or find tools to prevent stress and overload? Or increase connectivity, lower self-criticism and stress and be introduced to more sustainable ways to navigate in a complex time with many demands and opportunities? Then a talk that introduces theory, research and concrete practices in an experiential way can be a value-adding event in your working environment. It can be an opportunity to have important dialogues about what most people in work places experience but rarely have a common language for. "What I found particularly great about Clarissa and her workshop was that it was exactly customized on how to use mindfulness at work. I myself have had great benefit and enjoyment of Mindfulness overall, and would like to share it with members of my research group and others. I believe that I can do more tasks and achieve better cooperation and professional relationships by using the Mindfulness mindset. 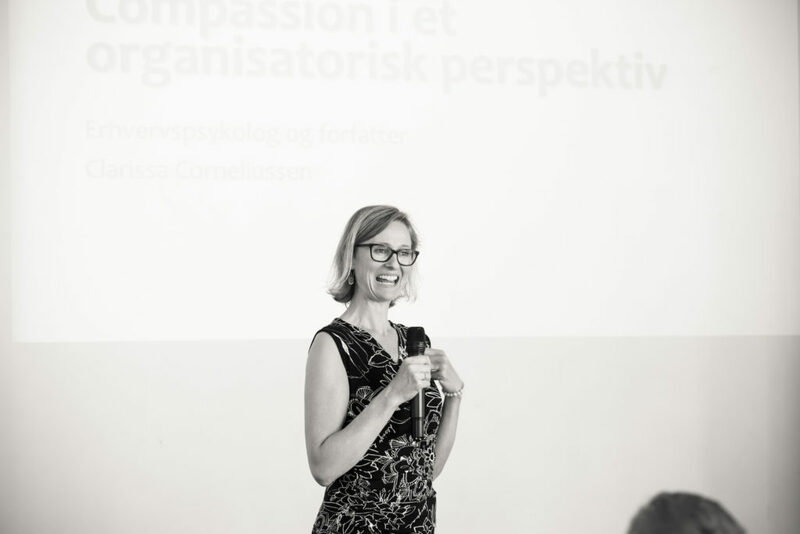 There was a wide appreciation of Clarissa's workshop"
I co-host Compassion Company together with business psychologist and authorized clinical psychologist Anita Hansen. We have chosen to create Compassion Company in order to offer training, development and inspiration to all interested in the field of our common passion - mindfulness, kindness and compassion in life and working life. Are you or your organization ready to getting both mentally and emotionally fit through neuroscientifically-based compassion and mindfulness training, we offer courses and retreats for both professionals and private persons, both externally and internally in organizations. Find upcoming courses and free guided meditations and more on our common website https://compassioncompany.com/. The website is unfortunately only in Danish but we would love to help you with any questions or requests, so pleases don't hesitate to contact us. "Mindful Self-Compassion is one of the best courses I have participated in. A course that is not forgotten when you get lost in everyday activities. It is a good mix of scientific input, eternal truths and practical exercises. Thank you for many good insights about being human".